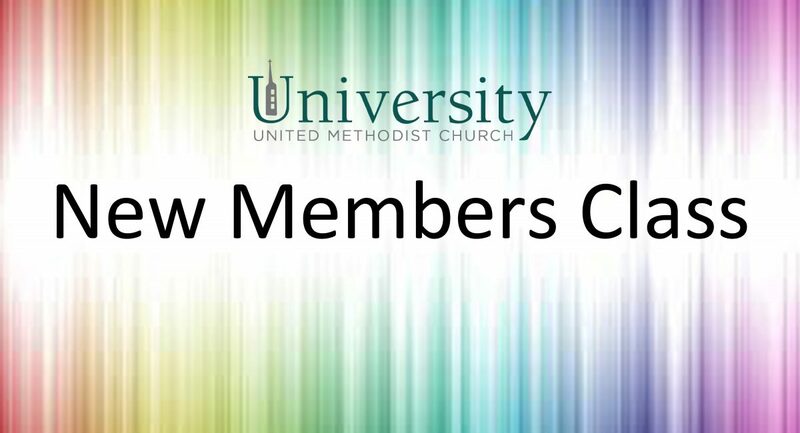 On five Wednesdays (April 10th through May 8th), I will offer a class for anyone interested in becoming a member of University United Methodist Church. The group will meet for about 90 minutes, beginning at 7:00 p.m. Participation doesn’t obligate one to become a church member. Participants may attend some or all of the sessions. The recent special General Conference has brought the significance of membership into a new light. The General Conference enacted legislation taking a hardline stance against LGBTQIA people and clergy who support them. Many United Methodist congregations, agencies, and boards have rejected the new rules for our church. Our Policy Governance Board has issued a statement rejecting the new rules as incompatible with our local values. The new rules will be reviewed by the denomination’s Judicial Council in late April. There will also be another General Conference in 2020. Even if the new rules are deemed unconstitutional, it is likely that the 2020 conference will include proposals for a denominational split. One of the new rules passed last month allows churches to negotiate their release from the denomination. This would require a congregational vote of 75%. Our polity is structured such that all property and assets held by the congregation legally belong to the denomination. Clergy are credentialed and supervised by the bishop, cabinet, and annual conference. The conference may suspend or defrock clergy regardless of how the congregation feels about their ministry. These rules go back to the earliest days of Methodism. Failure to abide by the rules could cost a congregation their pastor, property, and/or assets. Once the Judicial Council has ruled on the new legislation, we will hold several all-church meetings. Options for moving forward will be discussed. Everyone is welcome to attend these meetings. Voting is restricted to church members. This is in accordance with the United Methodist Book of Discipline. I encourage those who may want to vote but are not members to take the membership class. If you are interested but cannot attend, please contact me to make other arrangements. If you want to vote but are not sure of your membership status, contact the church office.